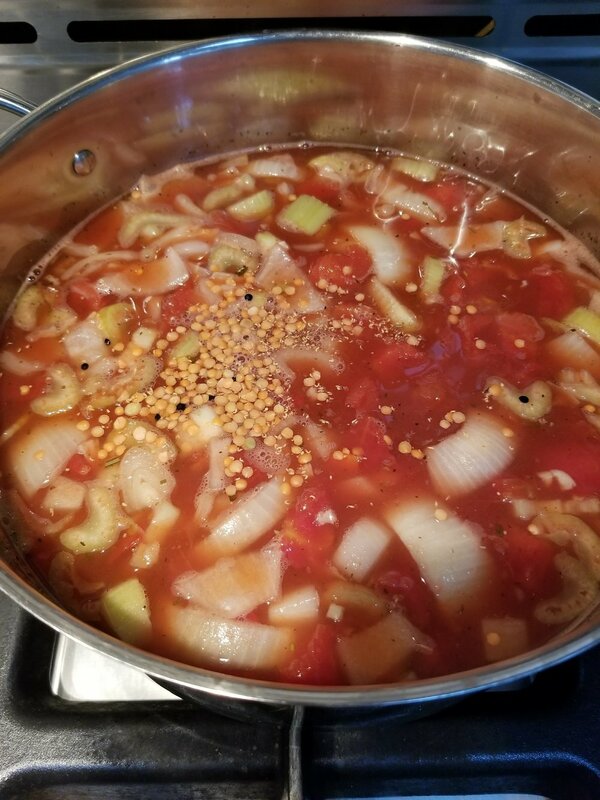 In a large pot place your onion, garlic, celery, carrot, tomato sauce, diced tomatoes, and Italian Herbs in your veggie stock until it comes up to a simmering boil. 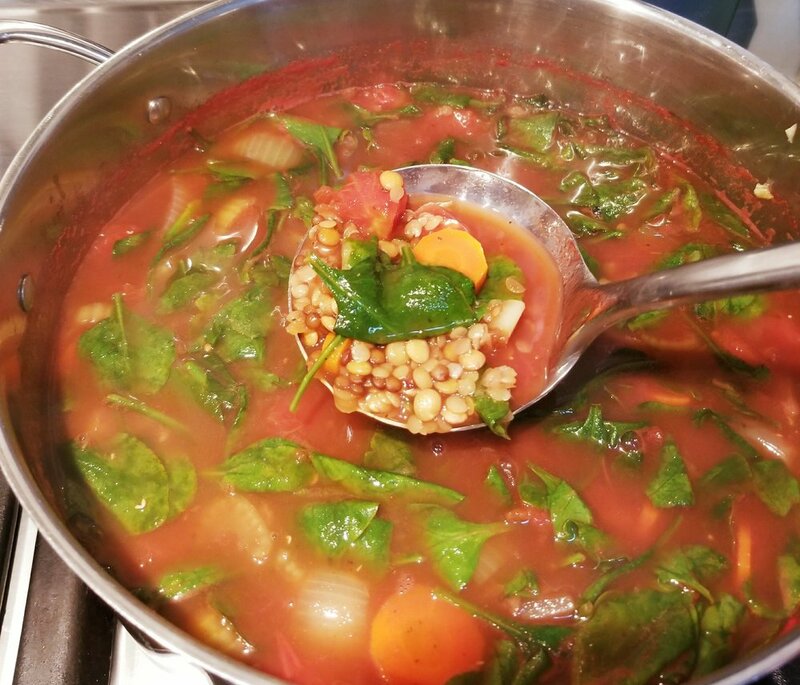 After soup begins to simmer, add in your lentils. Cover and simmer for 20 minutes. 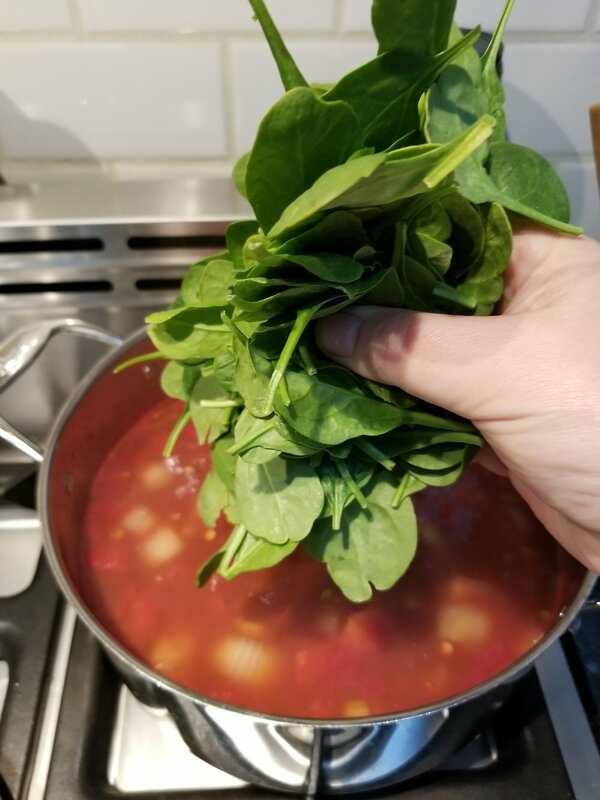 When your lentils are tender, stir in your spinach and allow your spinach to become tender. Approx 5 minutes. Add salt and pepper to taste. Serve up with your favorite side salad or Vegan grilled cheese sandwich. Enjoy!